Part IV of "What's the Matter with Seattle?" 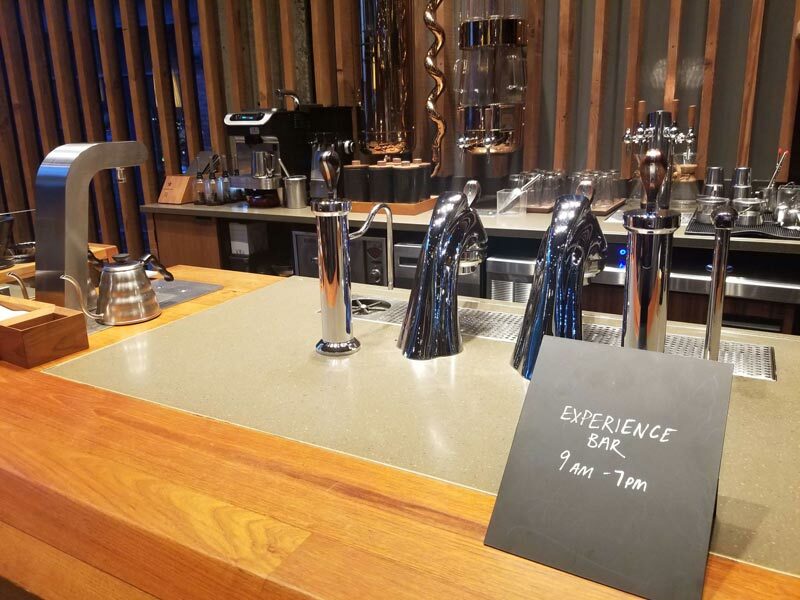 In this series, we examine a theory raised by The Wharton School’s Prof. Barbara Kahn that, for whatever reason, Seattle’s retailers just get customer experience. 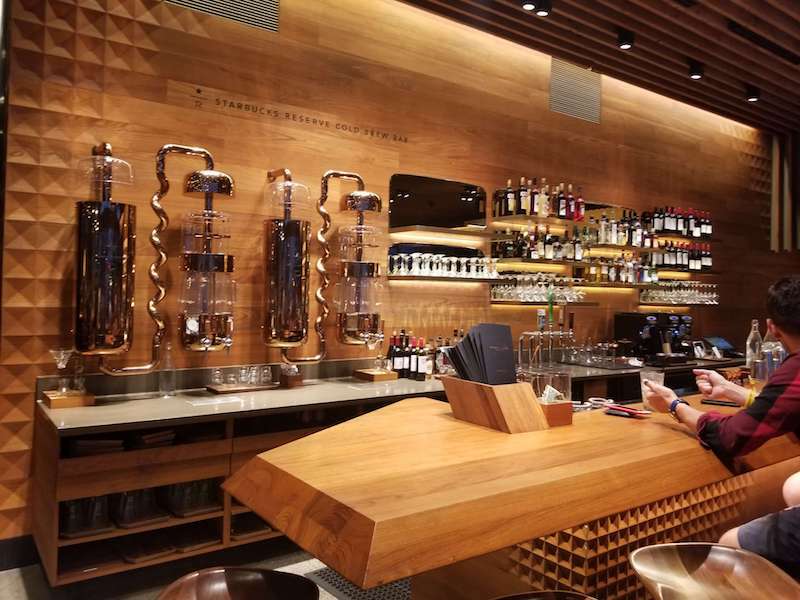 Today, we go to the Starbucks Reserve Roastery and drink it all in. 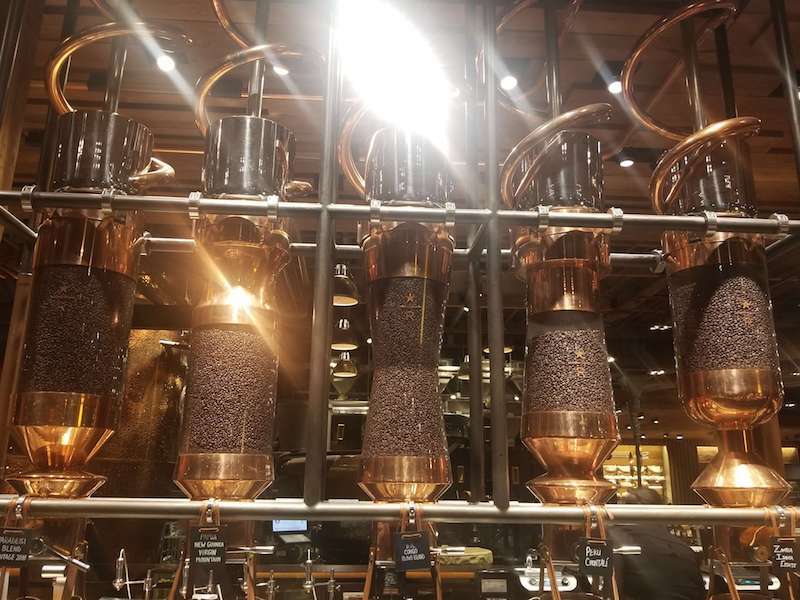 The Starbucks Roastery combines the distinguished feel of an English manor library with the behind-the-scenes grit of a working brewery – a stately mixture of mahogany panels and copper pipes. It also serves pizza. I had taken a Lyft there. My driver, an elderly Sikh gentleman with an impressive beard and a jovial wit, told me the Roastery was very nice, but that he prefers being overcharged at a tolerable $5 for his morning latte, thank you very much. No need to go overboard at $8. I pulled open the heavy wooden doors and began looking for the friend I had arranged to meet. She was sitting in a comfortable-looking chair near the window, typing away at her computer. She could have been catching up on email or, given the ambiance, writing a literature paper in an Ivy League study hall. She – a more dedicated fan than my Lyft driver – took me on her version of the roastery tour. The layout resembles a V, with the space in between taken up by genuine roasting equipment, mighty boilers attached to copper-and-glass tubes funneling beans to and fro. Taking the left fork of the V, we came to the coffee island and, for the time being, walked past it. Descending down a half-set of stairs, we found more tables and then an actual library, complete with a rolling ladder one can use to reach the second story of books. A whiteboard rested on one of its walls, displaying the playoff bracket from a roasting competition – the mocha equivalent of March Madness. 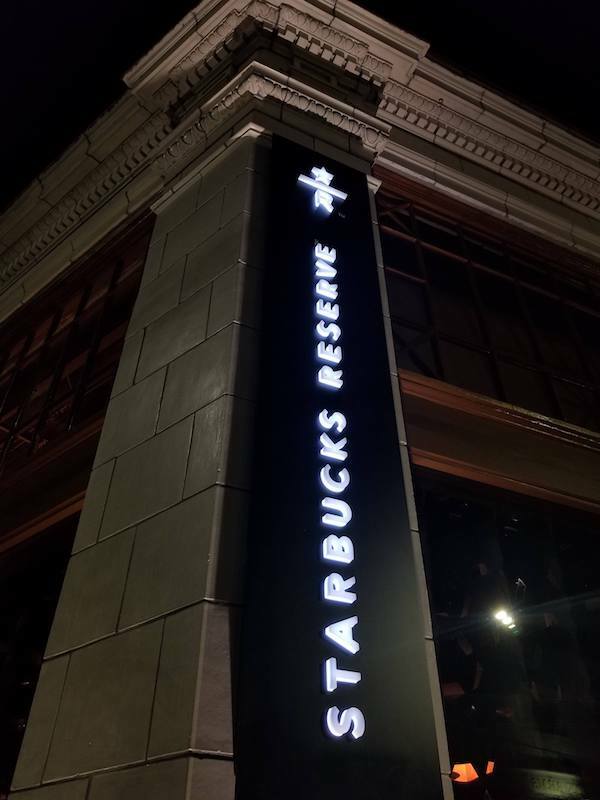 As we walked, my friend told me about how Howard Schultz, the CEO of Starbucks, was known to show up at places like this (something another Seattleite I talked to later had experienced firsthand). We retraced our steps and continued to the opposite fork. We passed through a gift shop, and resisted the temptation to buy trinkets for loved ones stuck caffeinating in more utilitarian digs. Beyond the gift shop sat three stations one doesn’t normally find in a Starbucks. First, a bar (the alcohol kind). Second, a bakery, where a pair of employees were busy shuffling bread in and out of giant kilns. Third, a pizza line, featuring pies cooked in ovens adjacent to the bread. We ordered a slice of margherita and a slice of sausage, and walked back to the coffee island. A group of five friends stopped us as we passed their table and asked us to take a picture. Memory captured, we took our own seats, ready to catch up on life, eat our pizza, and order some drinks. The barista approached. My friend went first: “I can’t remember what I had last time, but it was like a coffee milkshake.” “Oh,” the barista nodded, knowingly. “You’re thinking of our cold brew malt. It’s excellent.” My friend looked back down at the menu and wavered, wondering if she should indulge herself or settle for something more conservative. She said as much. The barista gave her a helpful, but authoritative look. He switched to Russian, offering a proverb that he then translated for us, roughly, along the lines of, “If you’re gonna do it, do it for real.” My friend sat back, blinked, and confidently ordered the cold brew malt. Continue to the final entry in our series, Part V: Nordstrom.